The days are getting shorter, the weather is getting colder and everyone seems to be perpetually involved in some form or other of mass consumerism. It can only mean one thing… Christmas is coming! As we rapidly approach the festive season, we have to remind ourselves that Christmas means something different for everyone. For me, it’s about togetherness and generosity. I don’t mean generosity in the form of big presents, but generosity of spirit. It could mean helping others, spending more quality time with loved ones, or just making sure that you’re treating people with the love and respect they deserve. 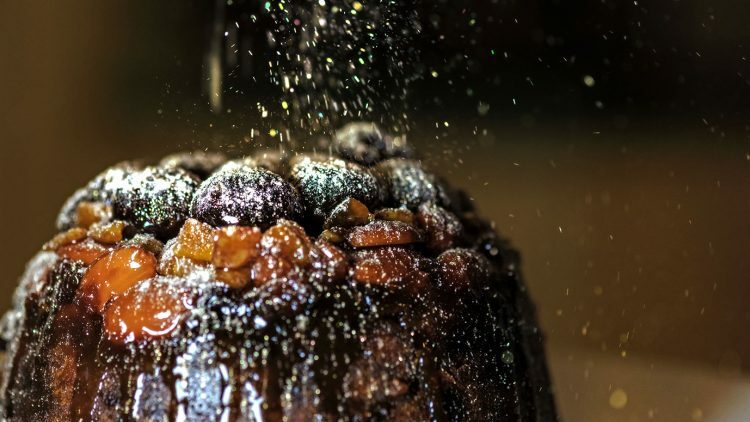 Christmas is a stressful time of year for all of us and in the catering world that stress is doubled as everyone is booking Christmas lunches, team parties and generally scrapping the diet for the next six weeks. It feels like we cook more food in the lead up to Christmas than in the previous three months combined! But it need not be as stressful as we tend to make it. As with anything, the key to a stressfree, successful Christmas is all in the planning. We start making our Christmas plans up at least 6 months in advance. One of the first things we do is decide what we’re going to give our clients for Christmas. This year, we wanted it to be something special and homemade by our new team of apprentices. We decided on Christmas puddings. The most important part of the process is identifying a number of key things. Who is going to work on the project. Who needs to be consulted and kept in the loop. Who owns the project? At bartlett mitchell, we have a simple rule…. there can be only one person. Sharing accountability ends up with things getting missed, so we always assign one person who the buck stops with. Map out timescales and steps, then track backward with your timelines. We knew it would be the apprentices, the marketing team, the development chefs and our team at the CPU. We consulted with our nutritionist, H&S, and the development teams. We put Pete Redman, our chef director in charge of the whole thing. We planned out the date it needs to be cooked, when the chefs have to come in to stir it and when it needed to be potted up. We had to design labels, with instructions, packaging and organise distribution. We start with the end date in mind, map out each step backwards, then set timelines and working groups. When you approach it like that, it’s easy, whether it’s an event or a project. This year, we’re also looking to do our bit for our teams, so every director at bartlett mitchell will be going back to the floor to help out with the Christmas lunch services across our business. That sounds pretty simple, but actually, it’s taken two months of planning. We’ve had to make sure we can influence the dates so they’re not all on the same day. We’ve had to clear our diaries from all lunch time meetings to ensure we’re available. We’ve had to communicate to the business, managers and clients. We had to ensure all our own training was up to the same standards that our normal food production teams have to be meet. All that takes time, but we head into December with very little stress or worry, because we have planned. Do the same with your Christmas planning, and it will be a very jolly Christmas for you as well!